Who doesn’t love sushi? There’s nothing like being presented with a beautiful plate of Nigiri and trying in vain to eat it without dropping it on yourself, your date or the floor. It is fun, romantic and above all, delicious, so why don’t more of us make it ourselves? It’s fish and rice…how hard can it be? Imagine being able to whip up a batch of California Rolls for friends on a whim? Hero & Leander went on the trail to learn how to make the prettiest sushi possible to delight and impress even the fussiest person at a dinner party. 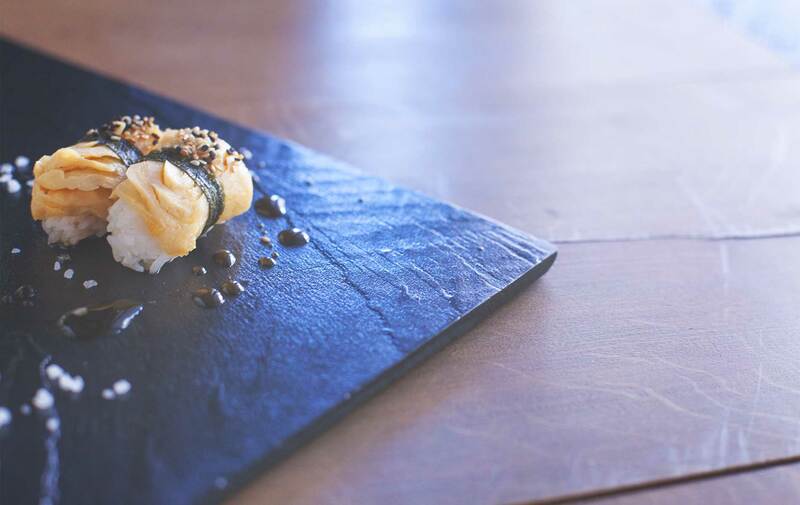 East London sushi school, Sozai, prides itself on being the UK’s first Japanese cookery school, offering classes in everything from how to prepare a full-course Kaiseki meal to making the best Japanese street food. Sozai’s master sushi maker Akemi Yokoyama invited us down to try our hand at their Dinner Party Sushi masterclass, to see if it really is possible for us mere mortals to make Instagram-worthy plates. We were welcomed into Sozai’s hi-spec kitchen in Aldgate to meet the rest of the small group we would be learning with and were quickly introduced to Akemi, whose knowledge was only outmatched by her patience (thankfully). We were started off with a demonstration on how to correctly make the perfect sushi rice (there’s a few secret tricks involved and that’s all we’ll say), complete with how to correctly cool the rice with a fan in the traditional Japanese way. After the demonstration built our confidence up, we tried our hand at making our own masterpieces, starting with the picture-perfect Temari sushi. Similar to the better known Nigiri, Temari sushi differs in it’s shape (it’s perfectly spherical), and is topped with a beautifully thin strip of the topping of your choice. We hand shaped three little Temari and topped ours with prawn, raw salmon and bean curd (a new favourite), before taking about a million photos of our little creations, naming them, loving them, and then gobbling them up in one bite. Next we moved onto Inari sushi, a slightly trickier task… Again, after a demonstration by Akemi, we learned how to stuff a bean curd pocket with sushi rice and garnish to produce a two mouthful, sweet-savoury packages that we presented on a white dish for all of thirty seconds before wolfing that down also. Confidence high, we shrugged off Akemi’s warnings of the difficult third option – we could handle it, surely? But then she presented us with ‘some she made earlier’ and our nerve started to wane somewhat. After (admittedly) several very slow demonstrations that made the Kazari look almost attainable, we looked at each other in the eye, looked at the several bits of equipment we needed, took a deep breath and went for it. Without doubt, the fiddliest and most enjoyable to make of the bunch, the Kazari sushi is (gulp) square, colourful, stunningly beautiful and heartbreaking to eat (spoiler: we did anyway). So whilst everyone else packaged up their home made sushi to show off to their friends later, we stared at our empty boxes, patted our full bellies, and resolved to take our new-found skills home for dinner parties with friends or fancy nights in just the two of us. So, next time you can’t get a table at Sushi Tetsu (so, every time right? ), book yourself into a course at Sozai and make yourself restaurant-grade sushi whenever you want – we guarantee you’ll have way more fun.